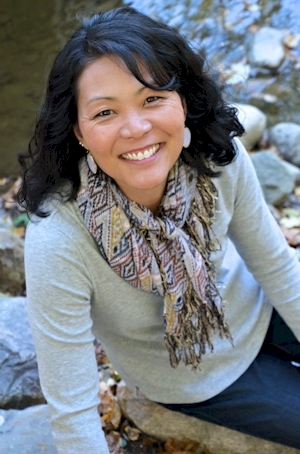 Karyn Nishimura (nee-shee-murr-ah) Sneath owns Npower, a leadership and organizational development consulting practice. She likes to describe herself as a Flexible (and fun) Facilitator, a Smart Strategic Planner, and Creative Consultant. Npower was born in 2001 and from two elements: N – for Nishimura and Power for her passion for empowerment – giving away power to strengthen and transform individuals and organizations. Since 1987 Karyn has been a consultant, author, association senior-staff member, and higher education administrator. Karyn has worked in higher education at the home of the Fighting Leathernecks (Western Illinois University) in the office of student activities and at the home of the Shockers (Wichita State University, Kansas) in student involvement and leadership. She also fell serendipitously into association management as a senior staff member with the North-American Interfraternity Conference and then with LEADERSHIP USA – a program of the National Association for Community Leadership. Volunteering professionally and personally is important to her. Professionally, she currently serves a second appointment to the American Society of Association Executive’s (ASAE) Professional Development Council (2016-present) and was a member of the Diversity & Inclusion Committee in 2014. She has been the co-lead facilitator for the ASAE Future Leaders Conference with Jon Hockman since 2008! In April 2018 Karyn was selected as an ASAE Fellow; the Fellows program recognized individual accomplishments and contributions to ASAE and the association sector, and is a call to service for the profession (from ASAE website). Personally, she volunteers as a board member for the Sigma Kappa Foundation as governance chair, a role she has held since 2016. Karyn is also a 30-year member of the Association of Fraternity/Sorority Advisors, an organization she has volunteered for since first joining. She’s been married to her Kansas Jayhawk husband, Steve, since 1992. Both are thankful they bonded while working at Wichita State University in the early 90s playing together on a recreation league softball team. She is constantly learning from one of the most interesting and thoughtful female leaders, her teenage daughter Skyler.